What is it about watching college football that makes it so thrilling? Is it the contagious excitement of the student section cheering on the team? That old familiar fight song that's played every time they score? Or maybe it's the camaraderie and great food that's enjoyed before and during the game. Whatever the reason, we love, love, love college football at our house. I must admit, as much as I enjoy the fight songs and the excitement of the whole day, the food is always a favorite for me. Game day food is special. 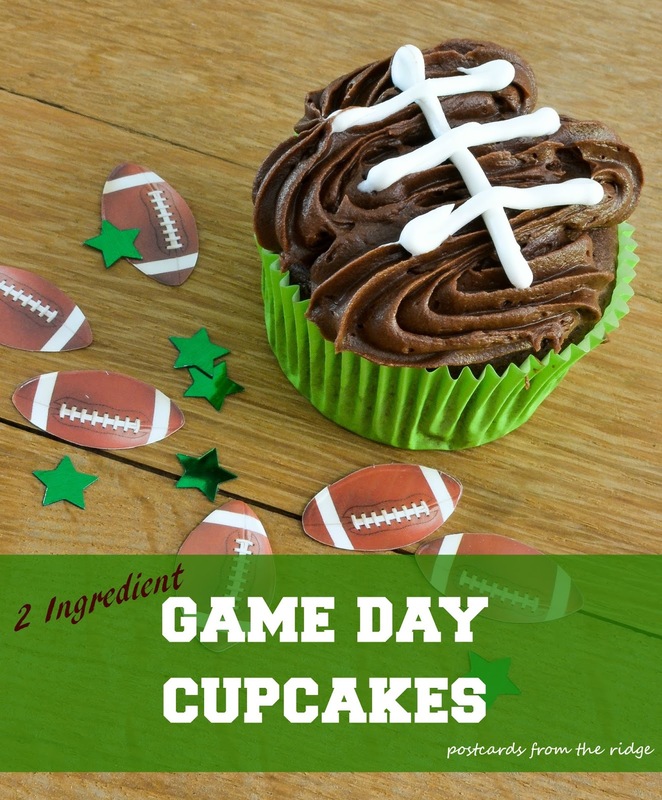 And though many people get downright competitive with their game day food, we like to keep it simple but tasty here. 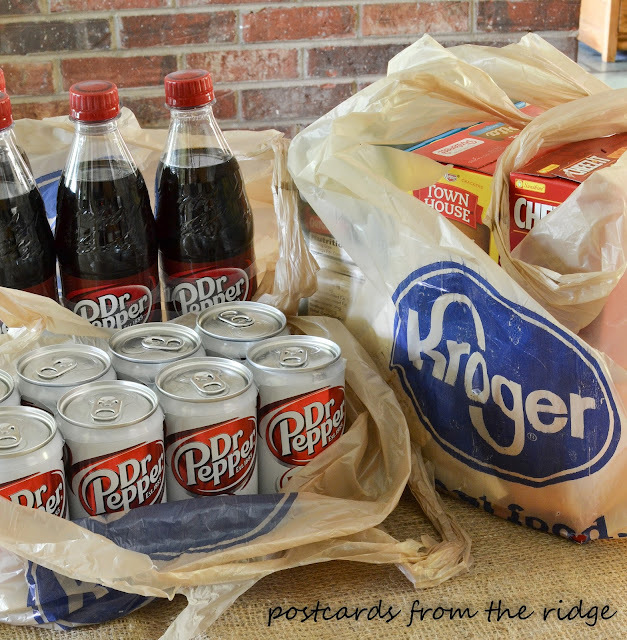 Our best and most memorable game days involve stocking up on our favorite game day drinks and food from Kroger. 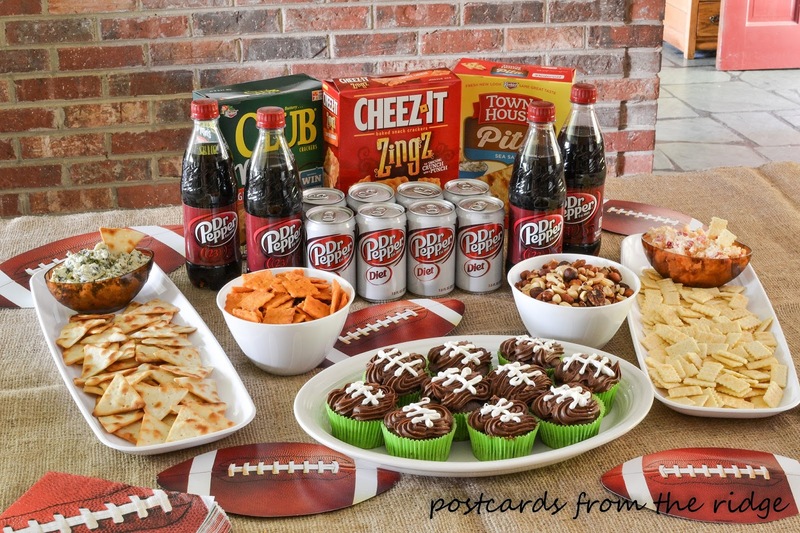 They have everything we need to feed a fanatic group of football fans. A few salty snacks, a few sweet ones, some great drinks like Dr Pepper® and we're set to watch and enjoy the game. One of my new favorite game day treats is my 2 ingredient Dr Pepper® cupcakes. Sound too good to be true? Nope, it's true. And if you're wondering how good they are, my 15-year-old daughter said they're the best cupcakes she's ever eaten. And she's the picky child! Go here for a printable version. 3. 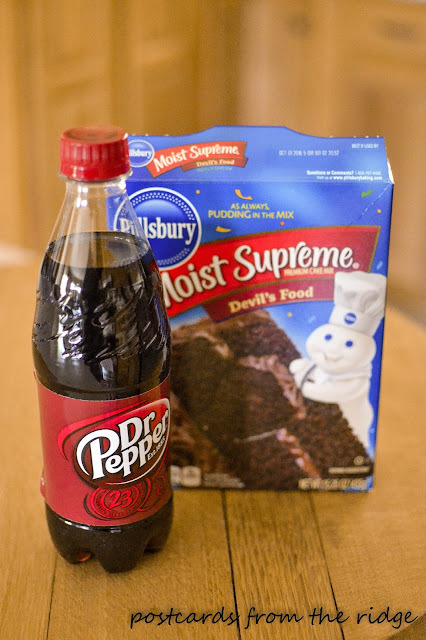 In a medium sized bowl, add the cake mix and Dr Pepper®. Mix on low speed for 1 minute and medium speed for 2 minutes. 4. Fill cupcake liners 2/3 full. Bake for 15 - 18 minutes. 1. Frost with the chocolate frosting. 2. Add laces with the vanilla frosting using a small piping tip. Adding the white frosting took several tries to get it right. Unfortunately we had to eat the ones that looked really bad so you don't get to see those. 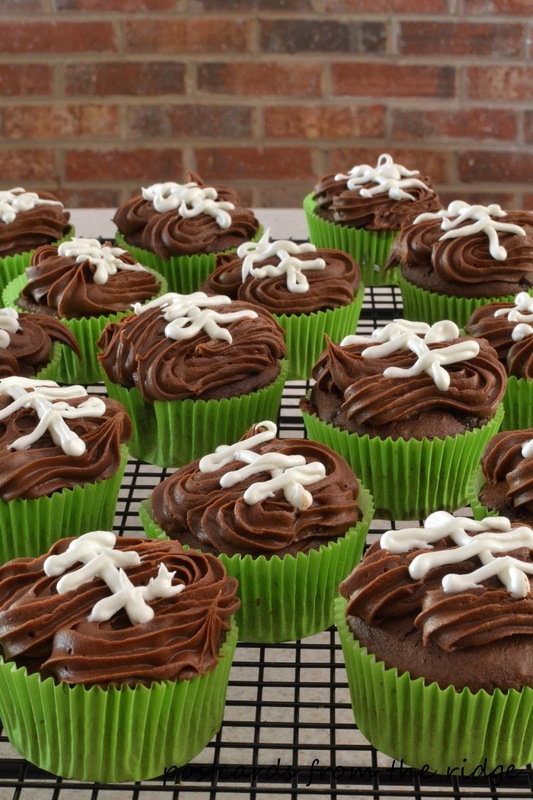 I recommend practicing on something rather than a cupcake if you don't want to have any bad looking ones. They still taste good regardless of how nice the laces look, though. 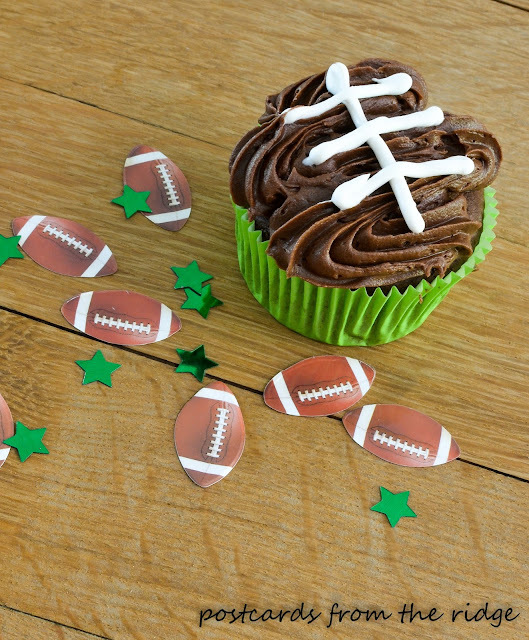 These Dr Pepper® cupcakes are the perfect sweet addition to your game day treats. 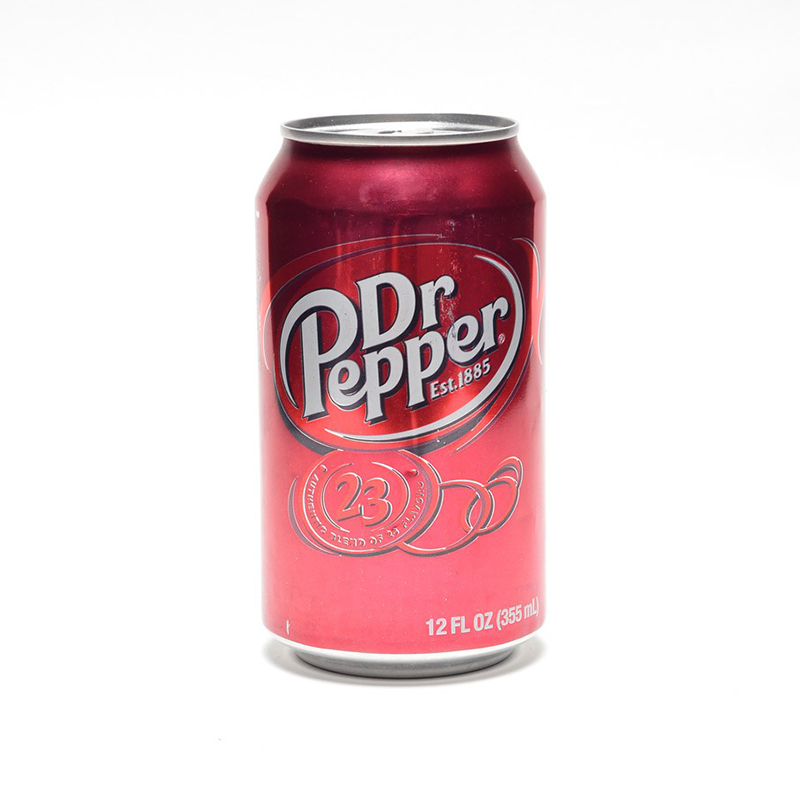 Rich, chocolatey, and just a hint of delightful Dr Pepper®. 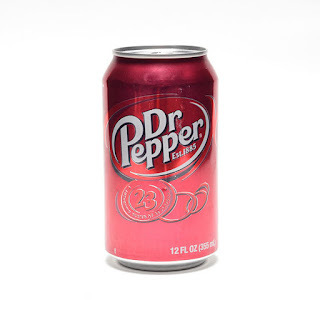 They're almost as good as the drink itself! All loaded up with some Game Day Greats from Kroger, a 2 ingredient cupcake, and my favorite game day drink Diet Dr Pepper® to wash it all down with. I'm ready for the game now! 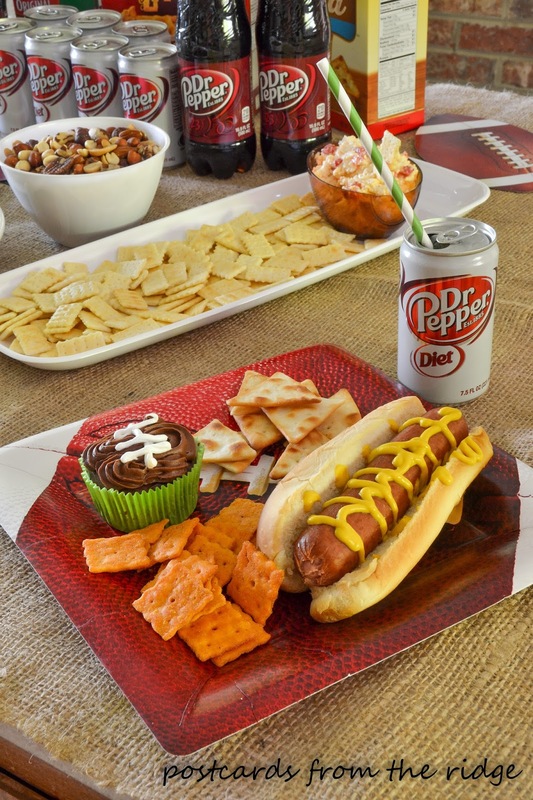 For great game day recipes, coupons, and ideas for your next tailgating or homegating event, head on over to the Kroger Game Day Greats website. Whether you like super simple like we do or you're a competitive BBQ boss, there are lots of great tips for your next party. 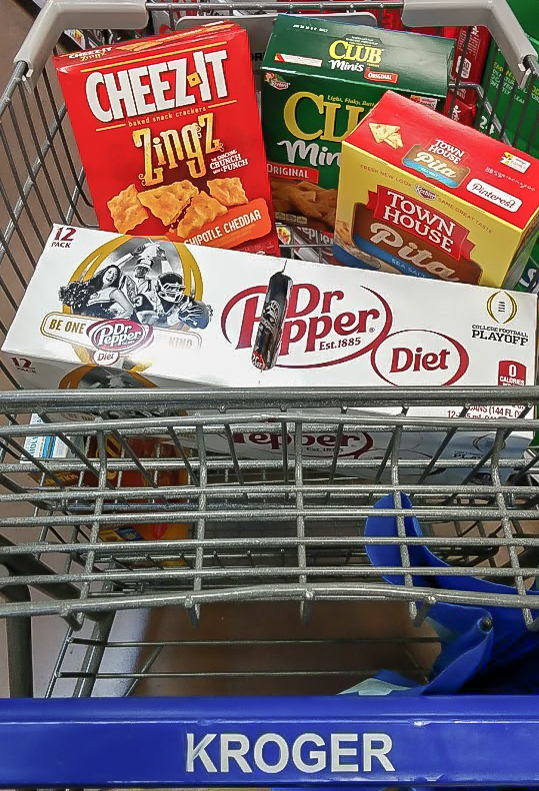 And while you're at Kroger, be sure to check out the out in-store sweepstakes with Miller Coors®/Kellogg’s®/Dr Pepper® for fly away trips to Rivalry Games. Are you ready to cheer on your team now? What's your favorite game day tradition? Please share in the comment box. Thanks for dropping by our homegating party. GO TEAM! !